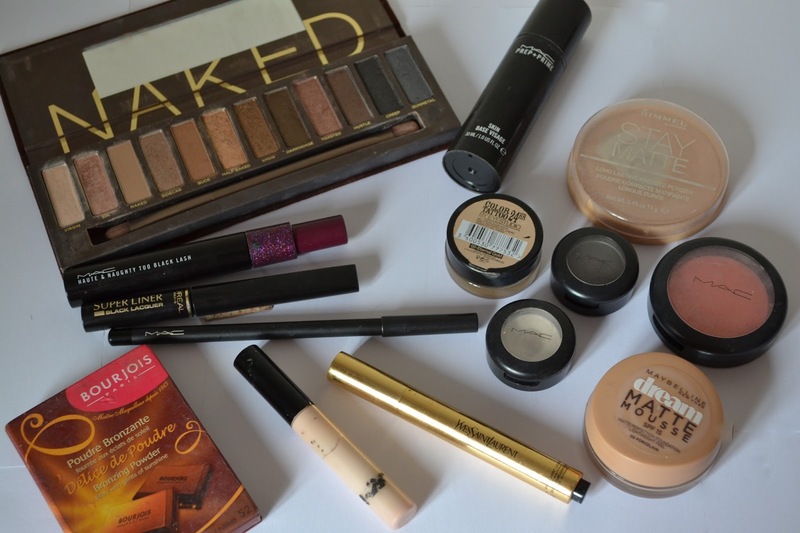 A few months ago, I wrote a blog post about my Make Up Must Haves, but I focused on my everyday make up and having had lots of positive feedback about it, I thought it was about time that I write a post about my night out make up essentials as they differ quite a lot. Firstly, I apply this primer to help my make up stay in place for the night. I like this foundation a lot because I find it provides a really good coverage and stays on my face all night. It's really lightweight and doesn't feel thick on the skin. I know it seems like every blogger has this concealer, but it really is as good as it's made out to be. It provides excellent coverage and is a nice creamy texture without clogging up the pores. I've used this powder for years now, I used to use it on it's own, but now I use it to set my foundation and prevent the shine that foundation can sometimes bring. I use this to contour my cheekbones and provide more definition along my jaw line and along the top of my forehead. I absolutely love this product, I've previously reviewed it in one of my earlier blog posts and I'm still loving it. I use it as a highlighter across the top of my cheekbones and it really makes them stand out more. I use this eyeshadow as my base, if I'm going to do a smokey eye look, then I find by using this shadow first it makes the look more soft and not so harsh against my pale skin. Next, I take this eyeshdow and place it on the edge of my eyelid and blend it through the crease to add definition to the lid. This is a really dark eyeshadow so I do not use much of it, but I just use it on the outer corner of my eyelid and blend it in through the crease to create a smokey eye look. I love this eyeliner a lot, it is so easy to apply and is perfect for providing the winged look that I love for nights out. I use a very small accent brush to apply this colour tattoo to the inner corner of my eye to open the eye up and to add a bit of colour to contrast with the grey smokey look on the eyelid. Having tried numerous eye pencils, this is by far my favourite, I run it along the waterline to add definition to my eye. The final step on my eyes is mascara. I love this mascara for night out, I find it too heavy for everyday use, but for a night out, it is provides the perfect amount of volume. The final step in my make up routine is to apply blusher. I love this blusher as it's the perfect pigmentation for my skin tone. So that's my make up routine for a night out. I haven't included a Lipstick because I'm yet to find one that I absolutely love and use on a regular basis. I know it seems like a lot of effort and a lot of make up, but it really doesn't take me too long and doesn't end up being a heavy look. 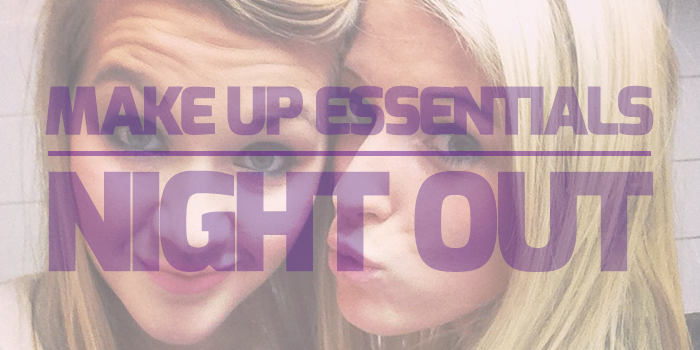 Let me know in the comments of any make up products you love for a night out, I'm always on the look out for new products to try. Oooooh I like the look of that mascara! I've been looking for a night out one and that seems perfect. I might have to give it a go!